Certified Nursing Assistants collaborate with health care teams to tend to patients’ daily needs. 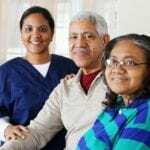 They work on the front lines of care in assisted living facilities, hospitals, and patients’ homes, providing direct care services under the supervision of a licensed nurse. Nurse aide training is a mandatory step for candidates in Maryland. The training, available at high schools, community colleges, and proprietary providers, must align with the regulations of the Maryland Board of Nursing. The GNA exam is an essential step for graduates who plan to work in long-term care facilities. 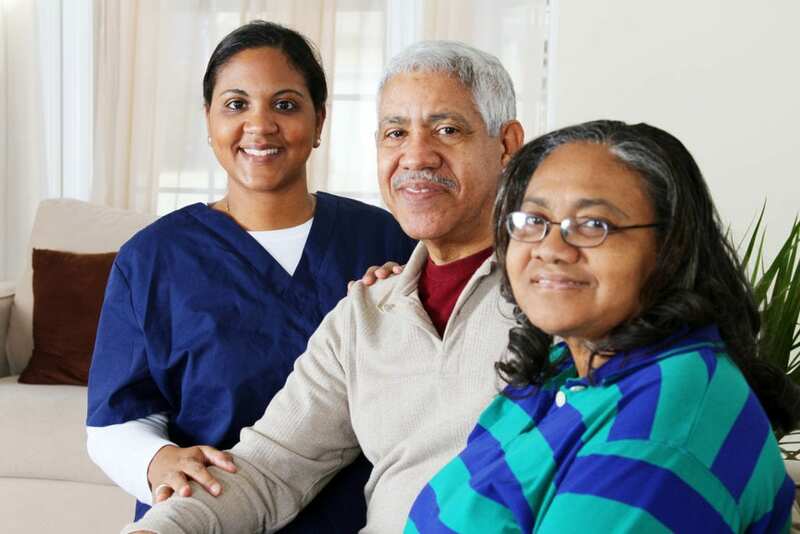 A CNA’s responsibility includes assisting patients with the activities of daily living, answering call lights, setting up medical equipment, preparing patients for medical exams, monitoring patients for critical changes in their physical or emotional health, and maintaining a safe and clean environment for patients. The nursing assistant program at Cambridge GNA covers the basic skills students need to assume an entry-level position as a Certified Nursing Assistant. Graduates may apply for the nurse aide licensing exam to be employed as a Geriatric Nursing Assistant. The curriculum covers 120 hours in total: 80 hours in the classroom and skills lab and 40 hours of clinical experience in an outside facility. Experienced instructors teach students how to identify patient care needs of all age groups, communicate with clients, their family members and members of the health care team, take responsibility for their actions, and provide safe and competent care. Course content includes preventing infections, positioning, transferring and ambulation, hand hygiene, communication and cultural diversity, the nursing assistant team, personal care skills, bowel elimination, special care skills, mental health and illness, nutrition and hydration, urinary elimination, rehabilitation and restorative care, human needs and development, and death, dying, and hospice. Have a high school diploma or GED. Applicants who do not meet this criterion must achieve the minimum required scores on the Wonderlic Basic Skills test – Verbal – 200 and Quantitative – 210. Provide evidence of a physical exam taking within one year prior to the program commencement. Use the contact information below to obtain current schedule and pricing. The nursing assistant program at Fomen Nursing Assistant Training Academy produces competent, caring, and educated health care professionals who will qualify for entry-level employment in acute and long-term care facilities. The nursing assistant program covers 120 hours of classroom theory and clinical practicum. Course topics include understanding health care settings, communication and cultural diversity, preventing infection, safety and body mechanics, the healthy human body, emergency care and disaster preparation, legal and ethical issues, personal care skills, nutrition and hydration, bowel elimination, and positioning, transferring, and ambulation. Other areas of study include urinary elimination, mental health, common chronic and acute conditions, special care skills, death, dying and hospice, confusion, dementia, and Alzheimer’s disease, and rehabilitative and restorative care. The Certified Nursing Assistant program at Compassionate Academy equips students with the basic skills to provide nursing care in a hospital or long-term care setting. Students undergo classroom and practical training in a lab and skilled nursing facility. The clinical practicum will give students the opportunity to apply the classroom theory in a real-world setting and care for patients under the direction of a licensed nurse instructor. Areas of study include anatomy and physiology, infection control, cognitive impairments and mental health issues, communication skills, record keeping, basic nursing skills, personal care skills, transfers and positioning, safety and emergency procedures, and much more. Upon successful completion of the program, students will be eligible to take the state nurse aide exam to practice as a GNA. The Maryland Board of Nursing will issue a license to practice. HTS, LLC trains adults for a career as a CNA/GNA. The program admits new students every 4 to 5 weeks. In the classroom, students learn basic nursing skills, human growth and development, personal care skills, safety and emergency procedures, communication, observation and reporting, infection control, mental health issues, legal and ethical issues, preventing infections, bowel and urinary elimination, cognitive impairments, and death, dying, and hospice. Students will complete the clinical portion of the program at Southern Maryland Hospital or another area nursing home. Students must complete the classroom and lab requirements with a score of 80 percent or better to participate in the clinical component of the program. The entire program covers a total of 130 contact hours: 16 preclinical hours, 74 hours in the classroom, and 40 hours of clinical. Day and evening schedules are available. Day classes meet Monday through Thursday from 8:00 am to 4:30 pm for four weeks. Evening classes meet Monday through Thursday from 5:00 pm to 10:45 pm for five weeks. The clinical practicum takes place in the final week. Use the contact information to find out about the affordable tuition and payment plans. The Nursing Assistant Certificate program at MHCTI consists of a total of 140 hours: 84 hours in the classroom, 16 hours in the lab, and 40 hours of clinical experience. Through theory and practical learning opportunities, students will learn how to wash hands to prevent the spread of infection, mouth care, clean and store dentures, measure and record weight, assist client with ambulation, transfer clients from the bed to wheelchair, take and record temperature, provide perineal care, assist patients with the use of bedpan, measure fluid intake and output, and give bed bath. Students will also understand legal and ethical issues in practice, how to care for mentally ill patients, basic safety and emergency procedures, and provide hospice care. Day, evening, and weekend schedules are available. Day classes meet Monday through Thursday from 9:00 am to 3:00 pm for 7 weeks. Evening classes meet Monday through Thursday from 6:00 pm to 9:30 pm for 10 weeks. Saturday classes meet from 9:00 am to 3:00 pm for 23 weeks. Graduates will be prepared for entry-level positions in nursing homes and will be eligible to take the Maryland state licensing exam for CNAs. MHCTI conveniently offers the state exam at their facility. The exam is conducted by the American Red Cross. Criminal convictions may affect a student’s ability to obtain a state license. Use the contact information to find out about the affordable tuition and payment plans. Howard Community College prepares adults to become a Certified Nursing Assistant in just six to eight weeks. Experienced nursing instructors guide students through theory and practical learning modules in the classroom and simulation lab. Through partnerships with area hospitals, HCC will offer students the opportunity to complete their clinical practicum at local hospitals, organizations, and businesses. The curriculum covers 145 hours: 100 hours of theory and 45 hours of clinical training. Students will earn 14.5 CEUs on completion of the course. The program meets the regulations outlined by the Maryland Board of Nursing, so graduates will receive a CNA license and be prepared to take the State Geriatric Nursing Assistant (GNA) Examination. Obtain criminal background clearance. If the results of the background check debar you from accessing the clinical site, the school will not issue a refund for tuition or fees. Take a basic reading exam at least one week before the program start date. Tuition and fees for the program cost $1,500. The cost includes $740 in course fees that are not eligible for waiver. The criminal background check and course materials are the student’s responsibility. Other schools offering state approved nursing assistant program in Hyattsville, Maryland.